Alexandre Helios Motta, 37 one of the most fanatical ardent of Corinthians FC fans. 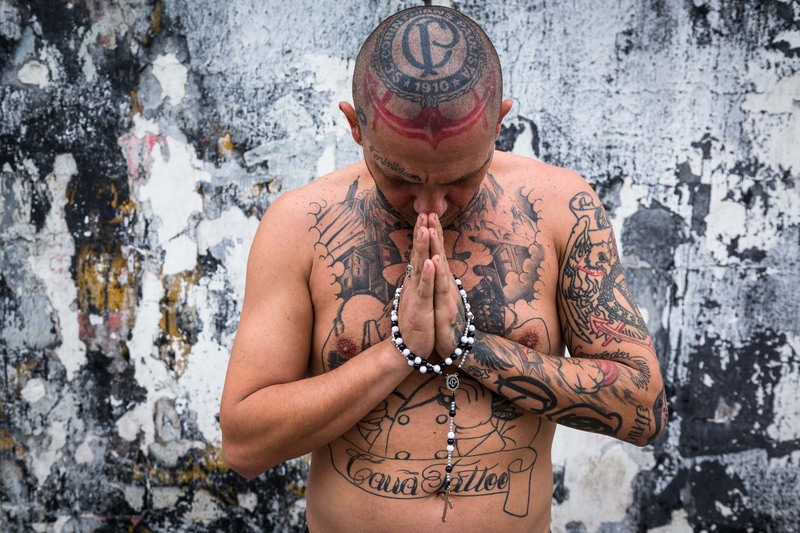 His body is covered in his team's tattoos. For him Corinthians FC is bigger more important then anything else in life. He forms part of one of the hard corp groups of fans known as "Gavioes da Fiel" or Hawks of the Faithful, Sao Paulo, Brazil.